Everyone had a great time at The Falls Grand Opening at Shearwater! The turnout was huge with over 1,600 visitors in attendance. 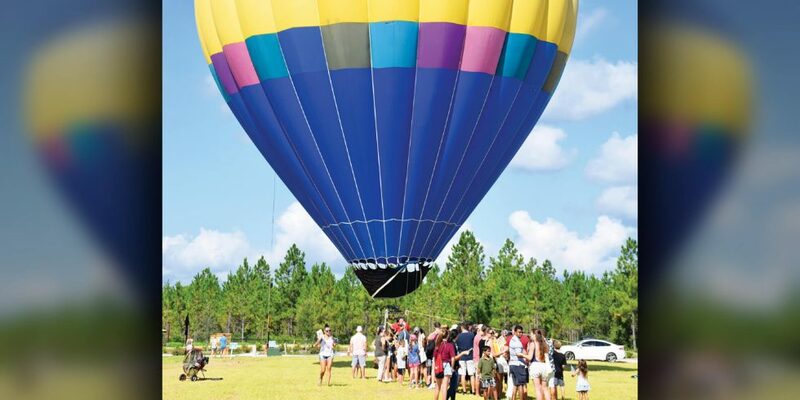 The hot air balloon rides gave guests a unique and creative way to view the community and resort inspired amenities. You can’t beat the scenic atmosphere here! Other grand opening highlights included a farmer’s market, frisbee dog show, and rock wall. Visitors were also given passports to get stamped at the model homes to be eligible to win a kayak. If you missed the event, come on over and we’ll show you around this exciting new neighborhood at Shearwater. Discover the dream home and friendly neighborhood you’ve always wanted right now at The Falls.